Credits: Quickpage created by Roshni Patel. Occupying a tiny peninsula on the south of Spain with five coastal provinces, Cadiz is blessed with some of the best and freshest fish and shellfish provided daily by the Mediterranean Sea. Although its cuisine is typical Andalusian in character, subtle influences from the Romans, Phoenicians and the Moors spawned an exquisite regional cuisine with flavors unique to Cadiz. Yes, the gaditanos (native of Cadiz) are meat lovers too, the pastures of the province keep it supplied with Iberico pork, goat, the local Retinto beef; however fish, fried fish, is the star. Dredge in flour (only) and then fried in a large amount of hot olive oil. So simple yet so ridiculously addicting. Sea bream, Dover soles, sea bass, cuttlefish, dogfish, and monkfish are usually what is used for this staple. 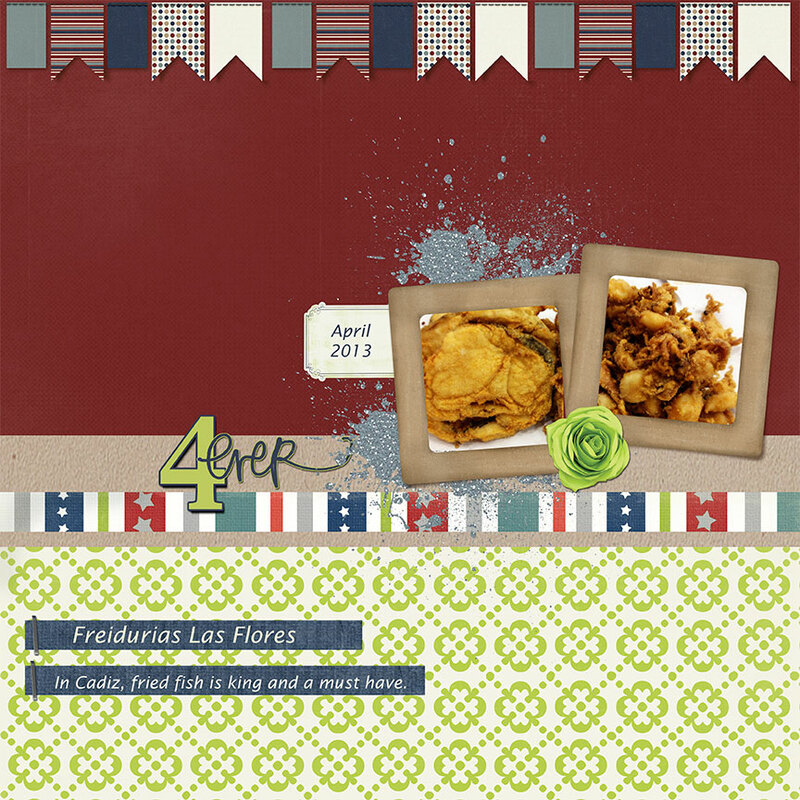 And the place to have a taste of this fried fish is at Freiduria Las Flores, a traditional fried fish restaurant, almost an institution in Cadiz. 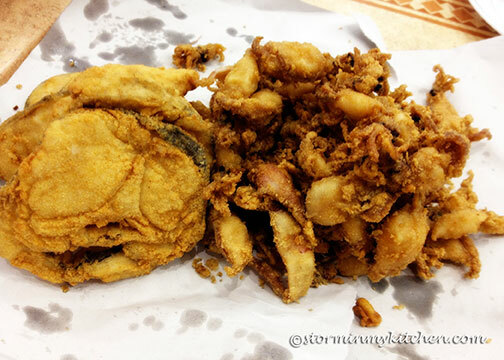 A must try: Cazon en adobo–marinated fried fish usually dogfish or monkfish. 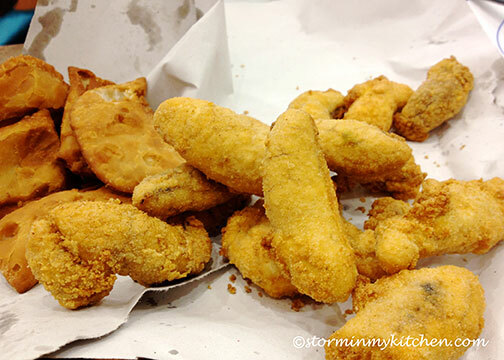 This fry shop serves excellent fried fish without the frills. Ordered from a counter and served in a cartucho, paper funnels. And like the dishes it serves, this shop is simple and functional. Be prepared to wait for a table especially at peak hours. Most locals order to take away. I always leave room for dessert and if you are like me, you will love the pasteleria across the Freiduria Las Flores 2 in Calle Brasil. 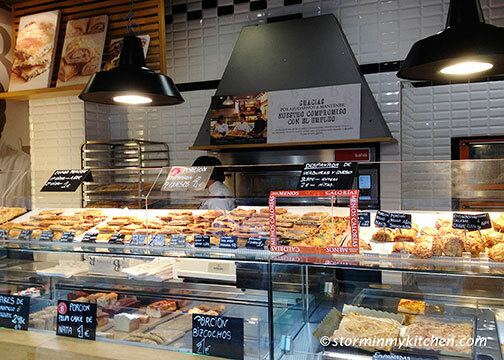 Antonia Butron is famous for her savory pastries, but the empanada filled with dates comes highly recommended, and so are their cakes and roscones (sweet bread loaf). Or how about this delicious dessert common and renowned in this part of Spain? Tocino del cielo, which means “bacon from heaven”, is so true to its name. 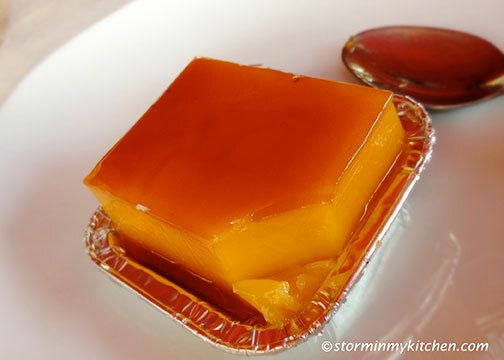 Traditionally made with the egg yolks that are discarded in the process of making sherry, this rich and creamy egg custard truly is a slice of heaven and a perfect way to end any meal. Definitely a must have. 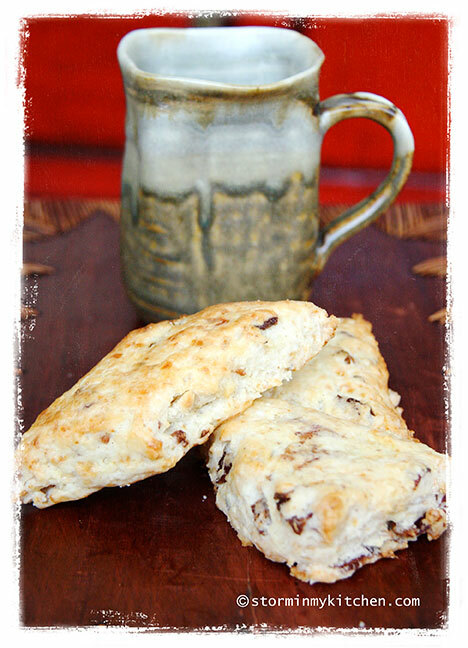 After baking this scones a few years ago, bacon lover that I am, I had intended to make a savory one with bacon and cheese (because really, you can’t go wrong with bacon and cheese). Months dragged into years, lo and behold, I finally got around to make it! I never forgot, mind you. It’s just that time flies so fast and when I tried to look for my scones post, I was horrified at how long that was already. Where did the years go? 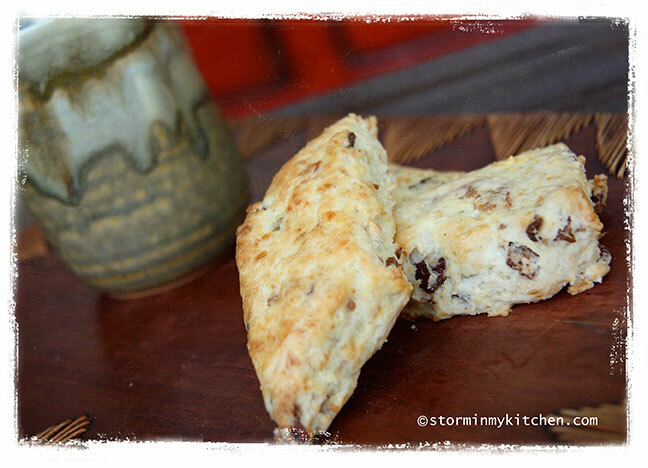 Anyway, I saw this new recipe (below) and decided that this was a good time to make some scones. I am incidentally going on a road trip tomorrow and these babies are going with me. In the bowl combine the flour, baking powder, salt and black pepper; mix briefly to combine. Add the cubes of butter and using a pastry blender or two knives to cut the butter into the dry ingredients until the mixture is crumbly and the butter pieces are about the size of small peas. 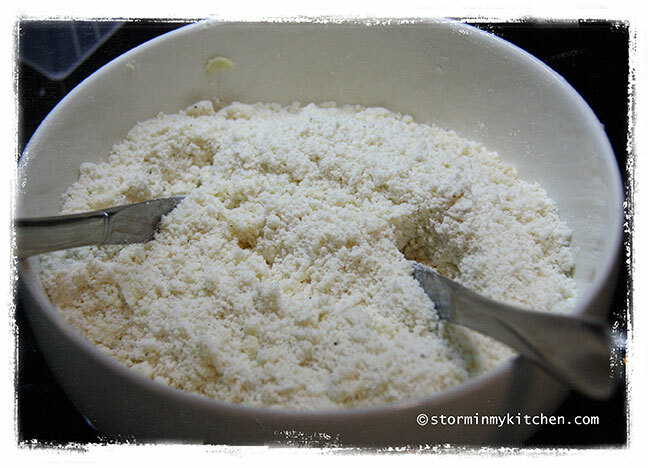 Add in the grated cheese and mix just until incorporated. 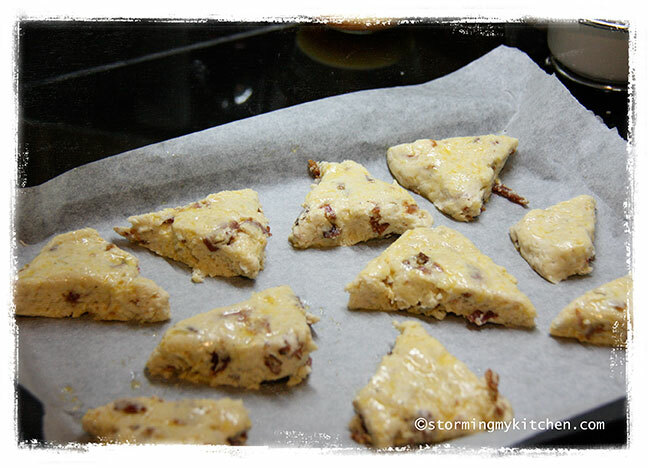 Mix in the bacon and 1 cup of the buttermilk into the flour-butter mixture. Stir by hand just until all the ingredients are incorporated. If the dough is too dry to come together, mix in the remaining buttermilk a tablespoon or two at a time until the dough can be formed into a ball. 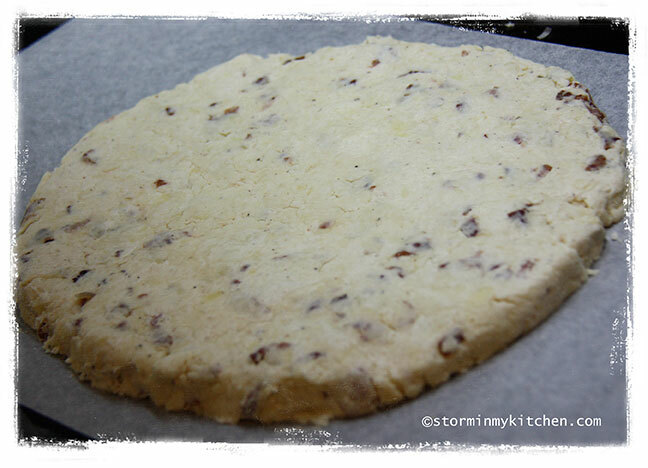 Transfer the dough to a lightly floured surface and pat the dough into an 8-inch disk. Slice the dough into 8 to 10 wedges. In a small bowl combine the egg and water and whisk together. Brush each wedge lightly with the egg wash. 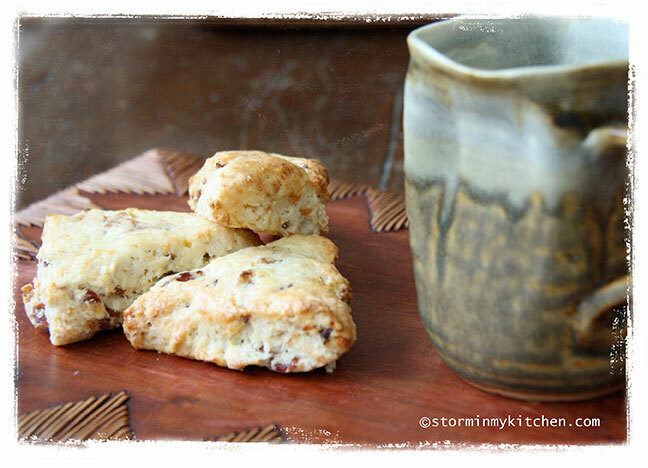 Transfer the scones to an ungreased baking sheet. Bake for 18-20 minutes, or until golden brown and a toothpick inserted in the center comes out clean. 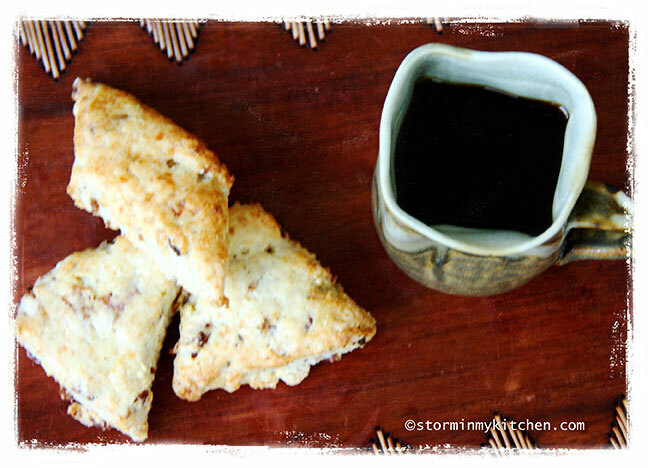 You are currently viewing the archives for June, 2014 at Storm In My Kitchen.